As I close my eyes, and drift away to a land where there is love, health, peace and blessings. I wanted to take the time to think and reflect. The truth is that I was thinking about the new initiative from the United Nations. This is called - For Every Child #ForEveryChild. Through this initiative, the organization has claimed that it will support: Peace, Justice, Respect, Human Rights, Tolerance and Solidarity for all. 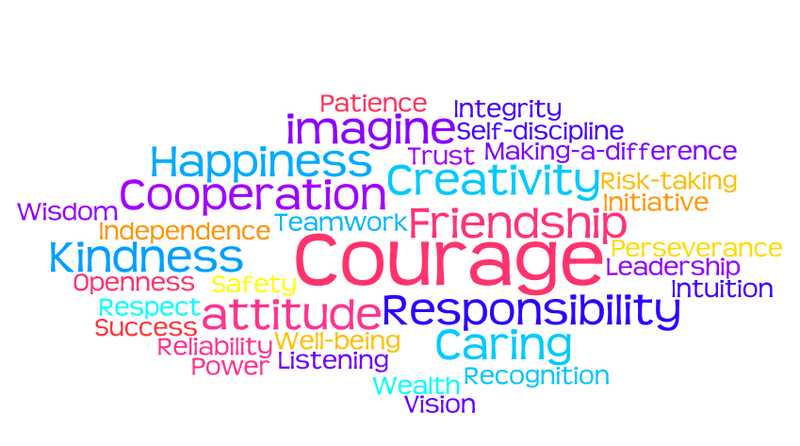 These are the values that were enshrined in the United Nations charter address by Antonio Gutterras, the New Secretary General for the United Nations. I was very pleased that these values were enshrined right from the first day of a new beginning. To be able to say that this organization supports these values is a huge step for nations, and also at the global level. However, just because they are values that the organization upholds, it does not mean that these values will be automatically met by each and every human being, These values must be maintained every single day. Sometimes to achieve a certain value, for example: Respect - We may have to unsettle those around us to come in to an awareness. Sometimes it will be an unsettling of others and sometimes the self. Was I respectful? Or how could I have done or said this better? Values need to be constantly thought about and maintained. Values such as these can be taken to the classroom level, and even be enshrined on a wall or a poster (Some classrooms already do this). Even within a classroom there are discussions, debates, etc. Everyone has an opinion, sometimes it will not be the same as yours, and everyone has the right to a safe space to share their opinions. This is where tolerance comes in. How are we cultivating relationships that include tolerance, and at the same time are being respectful to one another? When a space is violated - the human being will automatically feel threatened. It is automatic. From the perspective of evolutionary psychology, we can think about the fight and flight mechanisms. These are built within us. If our survival is threatened, we automatically react. As much as we try to remain calm and patient, it is within these spheres these mechanisms are alerted. Sometimes we have no power over our reactions, because these instincts are taking over. I Think that it is over time and experience that we learn how to handle our reactions, to the best of our ability. Maybe it is just a matter of saying that human beings are not perfect. It does not matter - the amount of wealth, status or education one acquires, the ability to hand primordial instincts is a challenge. This is why as humans, we engage in activity, such as running, fitness, exercise, or mediation. These activities help to channel the emotions, and calm the nerves. My first semester as a Masters of Education student was quite challenging. Simply because I cannot ignore the worldly events that are taking place. Sometimes, it feels like the world has come against me. Every time I write sometimes, and post it out to share with the world, there is someone killed, an earthquake, a plane crash, ir a bombing. This is the modern warfare that the innovators, musicians, artists, poets, writers, people of minority, and individuals who are interested in social justice are facing. There are also intellectuals, or students in academia, who are challenging ideas. It is the political structures, and monarchies that are stifling creativity. It is like the Game of Thrones. Maybe it is a way of controlling the race for the "race". Maybe these structures are deciding who's voice gets to be heard, and who's should not. So you can imagine the anxiety that has come through during my studies. So the other day my son noticed that I was having trouble thinking about my paper that I was to write. So he offered me some orange peel oil. I placed a few drops on my temples. Immediately the smell sparked an energy within that inspired creativity. I was grateful that he share this with me. I also shed a tear. There was a time in son's life, where I was told by the School Psychologist that he would not make it through school, and here I am today with a son who has graduated and giving me advice about how to do well in school. Notes: These thoughts were originally hand written on December 12th and December 14th.